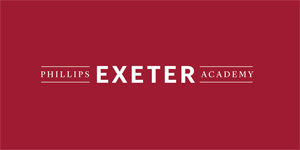 Phillips Exeter Academy, located in Exeter, NH, is a highly selective coeducational independent school for boarding and day students in grades 9 through 12, and post-graduate level as well. Our 671-acre campus is comprised of academic and residential buildings, a library, playing fields and sprawling green lawns; retaining our 18th century New England charm. Visit our website, www.exeter.edu, to learn more about us. The Academy offers competitive salaries, and excellent benefits such as free access to our athletic facilities and free meals. In addition, discounts in and around Exeter, Exeter Inn and Epoch Restaurant, Homes for Heroes, and McFarland Ford to name a few. Copy and paste this URL; https://chp.tbe.taleo.net/chp01/ats/careers/v2/viewRequisition?org=PHILEXET&cws=37&rid=74, to view the complete job description and apply. The Third Cook supports other cooks in ensuring the consistent and timely production, quality and quantity of the food to be served in the residential dining halls. Weekend and night shifts are integral to this position and flexibility is required. This position is considered “Essential Personnel”, requiring the employee to report to or remain at work for emergencies and inclement weather events, if instructed to do so. • Some college experience helpful. • Allergen awareness training and certification is required; Dining Services provides training upon hire. • ServSafe certification is required. Must be able to obtain certificate within 60 days (attend required class and pass test). • Must be familiar with kitchen equipment, materials and methods used in cooking, and care of utensils and equipment. • 1-year experience in these duties or a culinary school/program. • Experience in an academic institution preferred. • Experience working with adolescents in an educational setting is preferred. • Must be able to read and understand recipes, and be able to perform math calculations to convert recipes and measures. • Ability to work safely with knives and kitchen equipment. • Must demonstrate knowledge of high standards of kitchen cleanliness. • Ability to correctly identify product. • Must possess knowledge and commit to health and safety procedures with food handling and preparation. • Practices excellent personal hygiene habits; follows and adheres to uniform standards daily. • Must possess excellent guest service and hospitality skills. • Ability to work a flexible schedule including extended hours, weekends, and holidays. • Ability to function in a fast-paced environment, under short time constraints, and within established deadlines. • Strong interpersonal skills with ability to develop and maintain collegial relationships, and the ability to take direction and work with others. • Excellent communication (written and verbal) skills.